God's people, who are called by His name, have humbled themselves and prayed, sought His face and turned from their wicked ways—and, little by little, God is making good on His 2 Chronicles 7:14 promise to forgive our sin and heal our land. Indeed, after decades of fervent prayer, identificational repentance and prophetic intercession, revival fire is breaking out in American cities. Some are marked by glory. Others are marked by salvations. Still others are marked by miracles—but all of them are flowing from the river of God. JOIN JENNIFER ON FACEBOOK FOR SPIRITUAL COMMENTARY AND ENCOURAGEMENT. CLICK HERE. I believe these revivals are not only an answer to prayer—they are just a down payment of what the Holy Spirit wants to do as He fulfills another measure of the Joel 2:28 prophecy charismatics love to declare: "And it will be that, afterwards, I will pour out My Spirit on all flesh; then your sons and your daughters will prophesy, your old men will dream dreams, and your young men will see visions." The fire and glory in San Diego started during a January 2016 conference. Jerame Nelson hosted Bobby Conner and Joshua Mills at Heart of God Church. Nelson says that from the beginning of the meeting, there was an unusual manifest presence of God in the room. "Miracles were happening quite easily, and people were really getting touched by God during the worship times," Nelson says. "The atmosphere of the meetings was electric, and there was such a great hunger in the people attending every single session." Nelson reports several cases of stage 4 cancer, birth defects and glaucoma healed. Metal plates and pins surgically inserted into people's bodies dissolved, deaf ears opened, along with salvations and Holy Spirit baptisms. People are flying into San Diego from Fiji, Hungary, England, Brazil, Mexico and other nations to experience the outpouring. "I feel there was a literal flash that sparks faith for revival again in America and within the nations," Mills told me. "People from Seattle came down to the meetings and took that fire back with them. Now they are also stewarding a move of God." Fire certainly spreads, especially when there are credible prophetic words that foretold the awakening to fan the flames. About four years ago, James Goll, president of Encounters Network, says he had a prophetic dream about a revival beginning in San Diego, then going to seaports up and down the West Coast. Later, James says he had other dreams in which he saw that fire spread to Mexico in a crusade-type mode. He says the Lord told him, "Do not call the West Coast the Left Coast, but there will be such a move of My Spirit that it will be the Righteous Coast." James told me he also saw the Lord would give Nelson a spearheading assignment concerning this movement of signs and wonders in which healing and miracles would become "easy." And he saw other leaders anointed to lead revival in other cities. This awakening has become known as the West Coast Rumble. "Eventually there will be so many different pockets and centers opening up that it will be impossible to track it all," James says. "It will not be like the past when there was primarily one location where the nation or the world came. ... There would be so many hubs opening up and so many new things happening that this movement will not be one ministry centered, not one city or region centered, not one apostolic center highlighted or one leader centered. But it all begins with someone and somewhere." The West Coast Rumble landed at Seattle Revival Center in Newcastle, Washington. At the beginning of 2016, the Lord told Darren Stott, lead pastor of the revival center, it was time for his ministry to live up to its name. He called a retreat among his leaders to press in to what the Lord was saying. When he returned home on Monday, Stott saw Nelson testifying on Periscope about the miracles at the Fire and Glory Outpouring in San Diego and immediately took a team to Southern California. The next weekend was the Seattle Revival Center's Declaration conference, which also featured Conner. "Bobby Conner grabs the mic and starts tapping it as if somebody was knocking on the door," Stott told me. "And then he asks, 'Do you know what this is? I'll tell you what it is. It's Jesus knocking on the door, and He wants to know if anyone's going to let Him in.' And then he took off prophesying." Miracles started manifesting that same afternoon. Stott reports that a woman who had her breast removed in cancer surgery felt it growing back. He admits when the revival broke out, his team was both excited and terrified—they didn't want to do anything to "mess up" what the Holy Spirit wanted to do. Ryan LeStrange, president of the New Breed Revival Network, flew out to minister at Seattle Revival Center some weeks later. He told me the level of hunger immediately caught his attention. He describes the atmosphere as pregnant with the prophetic and a rich miracle anointing. "There were atmospheric miracles of pain, bleeding and joints being healed," LeStrange reports. "On my last night there, a blind lady came down front with her arm in a sling. I prayed for her and told her to open her eyes. She said she was seeing dimly. 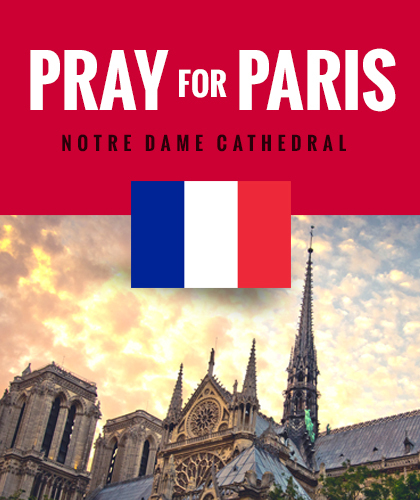 We prayed again, and she could see clearly, and she took her arm out of the sling and started moving it." Then there's the young woman who had been bedridden for 10 years who came from Utah. She was lying in the meeting on a cot and rose up and started moving her legs. Other reports from the Seattle Revival Center include people suddenly finding gold crowns in their mouth—there are photos to prove it. Meanwhile, the Appalachian Awakening—as it's come to be known—is marked by mass salvations, but healings are also breaking out. The revival is burning at the West Virginia-Kentucky border, and the secular media are even taking notice. This revival made the front page of the State Journal with the headline "Revived: Message of hope, tangible help is healing hurting communities in West Virginia." At the center of this awakening is a Tennessean evangelist from the Church of God named Matt Hartley. On April 10, Hartley preached at Regional Church of God in Delbarton, West Virginia, under the leadership of Pastor Mitch Bias. He was then invited to speak to Mingo Central High School's Prayer Club. Four hundred students attended the meeting, and 150 responded to Hartley's salvation message. In less than two weeks, at least 3,000 youth got saved. "It's a climactic time," Bias told CBN, noting that prayer paved the way for this outpouring. "I think the many years of creating a spiritual vacuum inside of kids by not teaching them the true reality that there's a destiny in God—time, plus chance, plus matter (have) produced a vacuum on the inside. I think when they hear a message of hope, it really speaks to them because they're kind of hanging in a spiritual limbo. And they press into it quickly to take it because they know that's the truth." The students are now acting as powerful evangelists in their own right. Some of them are taking to Facebook, Twitter and other platforms to announce what is happening and invite other youth to join the Holy Ghost party. Others are sharing testimonies. "The Spirit of the Lord is just sovereignly moving in the hearts of young people in very rural mountain regions of West Virginia," says Rick Curry, a revivalist born and raised in Kentucky who tours the nation preaching awakening. The youth are meeting in a field house in West Virginia. Meeting attendance surpasses the population of the town—and Curry estimates about 85 percent are middle schoolers, high schoolers and young adults. But the evening meetings are more of a celebration of what is going on in the schools during the day. "Two elementary school girls started fasting during their lunchtime," Curry says. "They wanted to minister to the kids but weren't sure the best way to do it, so they took a shoebox and cut a hole in the top and wrote 'prayer requests' on the side." "During the lunch period, students dropped their prayer requests inside the box, and at the end, the little girls would pray over them," Curry says. "On one day alone, 18 kids were saved at that school. Over in Pike County, Kentucky, revivals are also breaking out in the schools and in Bowling Green, Kentucky, and Lima, Ohio, students are getting saved by the hundreds." Although some of these revivals broke out before tens of thousands of fiery believers ascended on the Los Angeles Coliseum for Azusa Now—which marked the 110th anniversary of the Azusa Street Revival that birthed the Pentecostal movement in the United States—some are convinced that April 9 was a turning point for the nation. I declared on that day that awakening is here and it's coming—and agreed that it was a day of demarcation in America. It was a show of desperation and unity in the church. Prophetically, it was a shot heard around the world. Something shifted in the spirit in the City of Angels that day. If you could pull back the curtain on the spirit realm, I believe you would have seen an intensified war—and we're winning that war. Lou Engle's Azusa Now wasn't the only prayer event on April 9. United Cry gathered 30,000 pastors in Washington, D.C. Reset America will gather tens of thousands on the Mall in D.C. to cry out to God again. "TheCall Azusa will act as a 'rocket booster' to the entire movement," James says. "It brings together the streams of the prophetic and prayer with the power—supernatural culture—with evangelism. The merging of these two great streams will create combustion or a convergence where this rocket shoots forth apostolic and prophetic evangelists, not just to the West Coast but globally. It is another booster to the movement that shoots forth signs and wonders evangelists globally." Cal Pierce, director of the International Association of Healing Rooms in Spokane, Washington, agrees wholeheartedly—and with tears. As he sees it, Azusa Now shifted the bride of Christ from the waiting room to the delivery room, and amazing divine encounters and healings are on the rise. Even the way Pierce is praying for the sick is shifting as God creates a new wineskin in which to pour the new wine. "Prior to Azusa Now, the body of Christ was so concerned about the future and looking at the elections and global economies," Pierce told me. "A lot of believers were in fear and wondering what's going to happen. Azusa Now shifted us. We are beginning to understand that no matter what man does, it's not going to change God's will or what He's preparing to do—to pour His Spirit out through His bride." Pierce told me he's seen more divine encounters in the 30 days after Azusa Now than he did in the first 16 years of the Healing Rooms ministries. Choking back tears, he tells the story of a little boy born with his umbilical cord wrapped around his neck. Doctors gave him no hope to live throughout the day. A Healing Rooms team prayed, asked for the newborn's name and called out his destiny. Little Wyatt was healed. Pierce is also seeing the atmospheric miracles LeStrange noted in Seattle. In his meetings, Pierce is not agreeing that people are sick. He agrees with the Word of God—by His stripes we are healed (Is. 53:5). When he preaches this word, people begin to testify of healings without anyone laying hands on them. "We're seeing these types of miracles now on a continuous basis—things our eyes haven't seen and things our ears haven't heard before," Pierce says. "He's releasing His presence and His glory. "Now is the time for our destiny. Now is the time for the bride of Christ to begin to step into the fullness of what Jesus preached. We know that God is getting ready to pour out His Spirit upon all flesh, and His kingdom will be preached into every nation, and revival will be released around the world." Jennifer LeClaire is senior editor of Charisma, director of the Awakening House of Prayer and author of many books, including The Next Great Move of God: An Appeal to Heaven for Spiritual Awakening. Visit her online at jenniferleclaire.org. 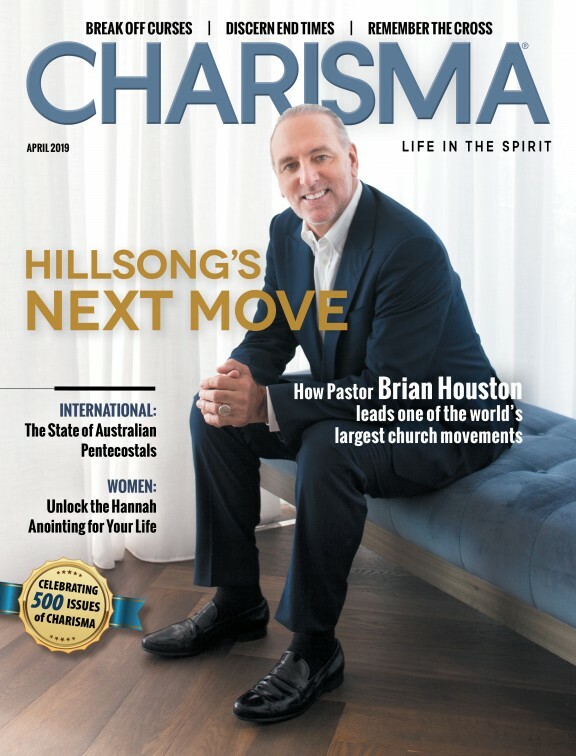 Take a look at what God is doing in West Virginia in what has become known as the Appalachian Awakening at appalachian.charismamag.com.